When people speak of incubators in West Michigan, my mind often wanders to office spaces disguised as imagination stations with stylish furniture recalling the glory days of our furniture city. Naturally, there is the smell of pour-over coffee and young, 20-something hipsters buzzing about in search of the next “it” idea to place into fabrication. Of course, this incubator image is mostly a fantasy. Recently, I sat down with members of the creative thinking West Grand Neighborhood team who, for a second year, are bringing WinterWest to the West side. Neighborhood organizing group WelcomeWest may have been incubated at the West Grand Neighborhood Organization, but on the eve of this second-year event, it is clear this model is not just a West side thing anymore. 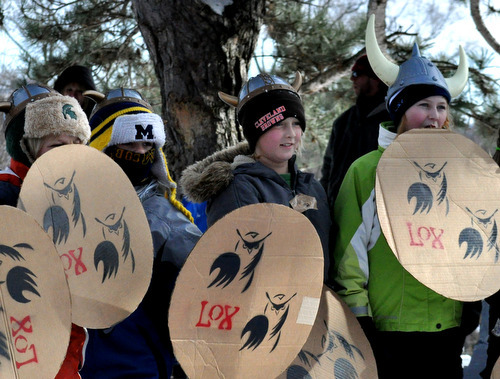 Although WelcomeWest has had a series of successes, WinterWest really resonates with the neighbors and is also quickly becoming one of Grand Rapids’ most exciting winter events. WinterWest stands out from most other events held in our neighborhoods because the production is collaborative in its approach. The neighbors of West Grand remembered Richmond Park as a place to skate during the winter months. However, due to a series of cutbacks, community-building activities like this have had to take a budgetary backseat in an effort to make the city more financially stable. It is not to say these park activities are not valuable. Our city had, at one time, 22 ice rinks in neighborhood parks for people to access. Over time, budget cuts have eliminated many of the rinks so that more pressing matters could be sorted out at City Hall. Van Strien and his group of neighbors knew they had a great idea and plenty of volunteers to help perform some heavy lifting, but they needed someone to help bridge the gap between the city and their needs. At that point, WelcomeWest brought in the Friends of Grand Rapids Parks, who have made incredible inroads creating such partnerships in our community over the past few years. And who wouldnât get excited about a winter wonderland in your neighborhood? A large part of the group’s success is due to its historical context, often overlooked when telling this story. Need more proof? Then grab a sled and head to the massive, popular hill at Richmond Park. 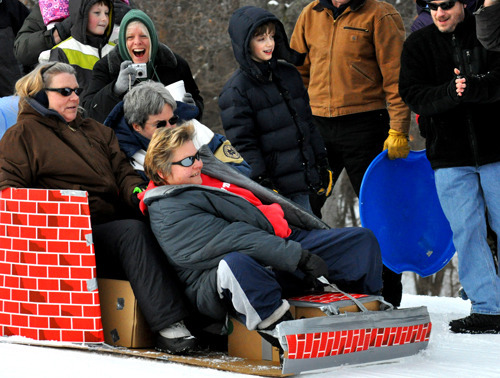 WinterWest once again will host the Crazy Cardboard Creation sled competition with some of the most incredible designs this side of Milan on Sunday, Jan. 29. The festival is a place where neighbors can meet on the slopes in an urban environment to create dialog and maybe incubate the next great idea, too. When I think of WinterWest, I recall those famous images of the Amish coming together to build a barn in one day. Faber also imagines a new era in our city, not necessarily where every community hosts a WinterWest event, but a place where other unique projects incubate and grow in our city. 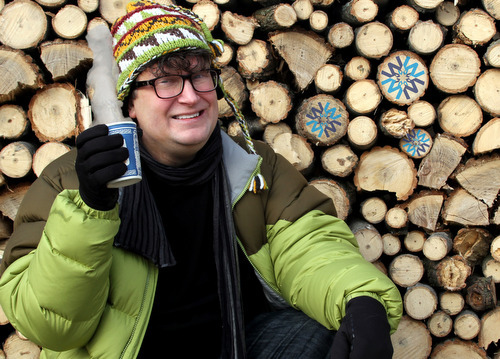 If you doubt what the power of a good idea can do, then look no further than 2012’s WinterWest. So, if you think the next and new big thing in Grand Rapids is reserved for those with deep pockets and a fancy zip code, just look to the humble beginnings of WelcomeWest incubated in the office of one of our neighborhood associations. When you do that, you will begin to see the impossible become the possible as neighbors work together to benefit the community.